Dr. Mary Elsea developed an interest in a chiropractic career following an injury to her lower back while in Karate. Already working toward her bachelor’s degree in Biology, Dr. Elsea graduated from Va Tech in 1982. 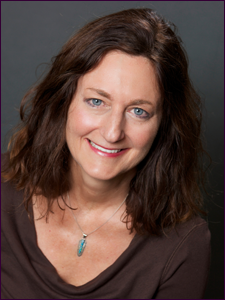 After graduating New York Chiropractic College in 1987 and practicing in New York, Dr. Elsea relocated to Boulder and opened her practice in 1990. Outside her chiropractic practice, Dr. Elsea has had a lifelong passion for dolphins. Her first up close encounter was in 1992. In 1995, Living From the Heart, an organization founded to take cancer patients to swim with dolphins, asked Dr. Elsea to facilitate dolphin wellness trips. She has assisted on multiple trips in Mexico for individuals with life threatening illness; and kids with severe learning disabilities, Down’s syndrome, and autism. Dr. Elsea has a wonderful husband who shares her love for the outdoors – hiking with their dog, mountain biking, telemark skiing, and swimming with dolphins!.